Following the debut of their new Black Panther collectible figure, Hot Toys has released the second figure from their line for Marvel’s Black Panther with the Erik Killmonger 1/6th scale collectible figure. 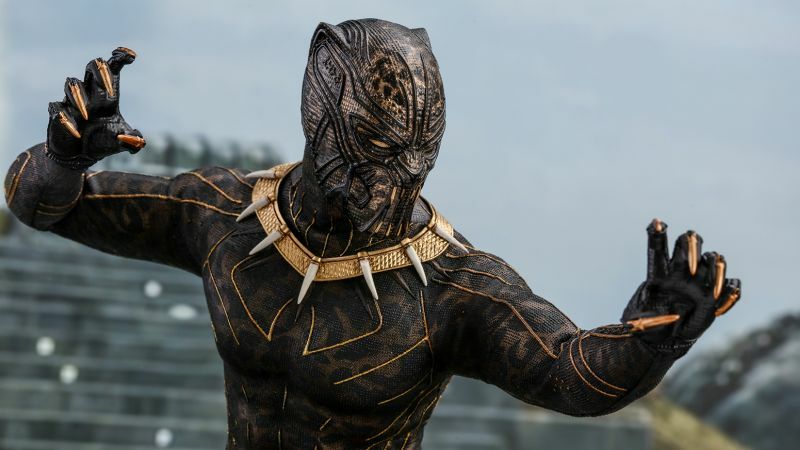 The screen–accurate collectible figure is specially crafted based on the appearance of Michael B. Jordan as Erik Killmonger in the film featuring two interchangeable heads which include a newly-sculpted unmasked head sculpt with authentic likeness (to be fully revealed at a later date) and all-new masked head with fangs and highly-detailed textures, newly-developed muscular body, skillfully-tailored Golden Jaguar suit with remarkable tailoring and golden accents, detail recreation of Erik Killmonger’s weapons, and a specially-designed movie-themed figure stand! 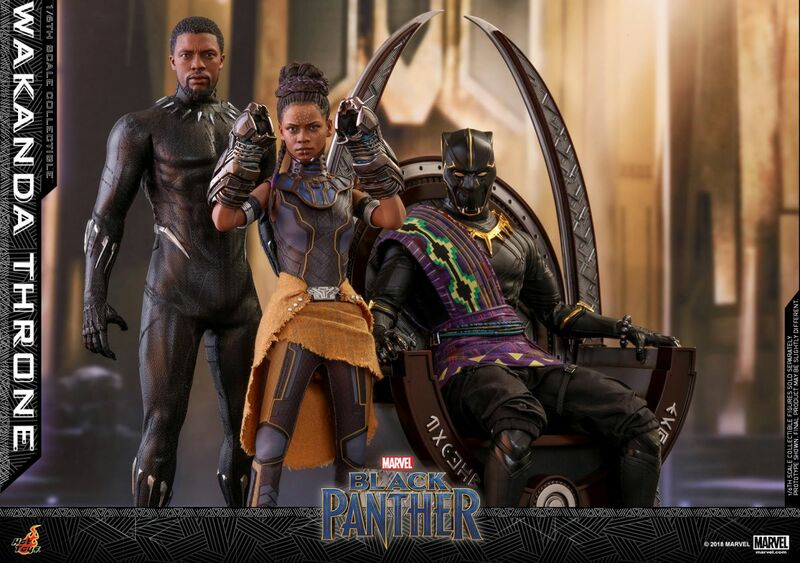 Check out the Killmonger Hot Toy photos in the gallery below along with the Black Panther figure.